When you are thinking about developing a new WordPress theme, then are two paths open in front of you. You can start coding the theme from scratch or you could use a starter theme which already has the basics that you want. To be honest, there is nothing wrong with either of these method but using a starter theme has many advantages, for example, since all the basic elements are already there, it gives you a good head start and also saves time and effort. One misconception is that these starter or base themes are only for developers who are good at coding. Well, that’s wrong. Most starter themes are very well commented out in the coding, so even if you are just getting started on learning WordPress, you won’t feel like a dive in an alien land. In fact, if you know HTML and CSS, then you can use any of these WordPress starter themes or frameworks and learn how the advanced PHP parts work. You just need to style the theme and add additional functions to meet your requirements. So now without any further talk, let’s take a look at 15 best starter themes and frameworks that you can download and use for your next client or personal project. 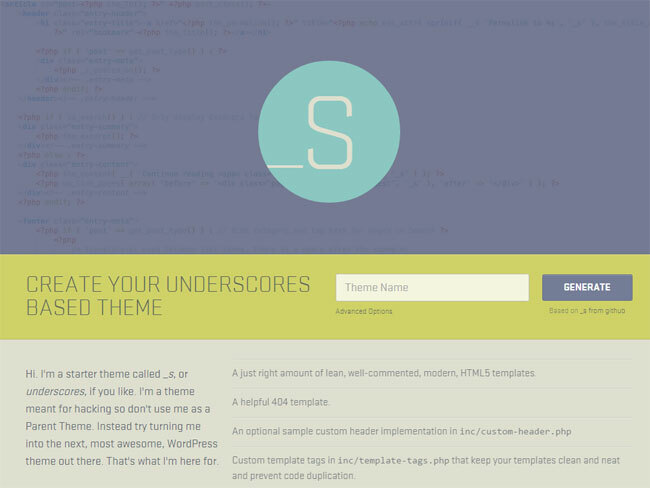 Underscores is a starter theme for WordPress developed by Automattic (who are the creators of WordPress) that’s meant for hacking and developer friendly. It features ultra minimal CSS so that less stuff comes in your way when you’re developing a theme. 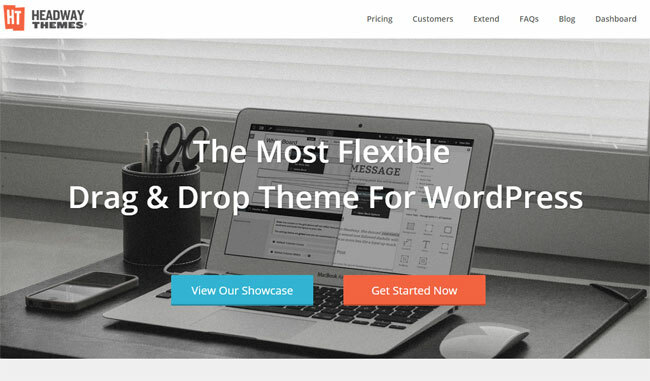 The developers say that with each new default WordPress theme release, they will review _s and update it with the best practices and techniques. It also comes with 5 sample CSS layouts so that you don’t have to start from scratch. It offers a unique feature, the ability to generate a custom name for your new theme. This means if you are creating a theme for a client, then you can name it anything (like XYZ, or anything) and all the files will be named as per that. Generate your very own version of underscores (or _s) from below link. 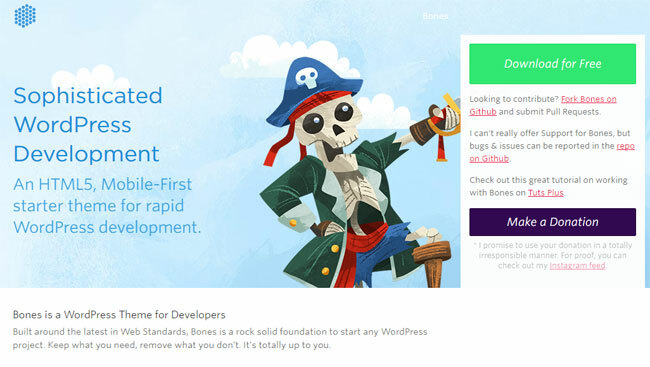 Bones is a HTML5, mobile first starter theme for WordPress that’s aimed towards developers. It is not a framework, but it is meant to be used on a per-project basis, which means there are no child themes. Its mobile first approach means that it serves minimal resources to smaller screens and then scales up depending on your viewport. It uses Sass which can really speed up the development process. 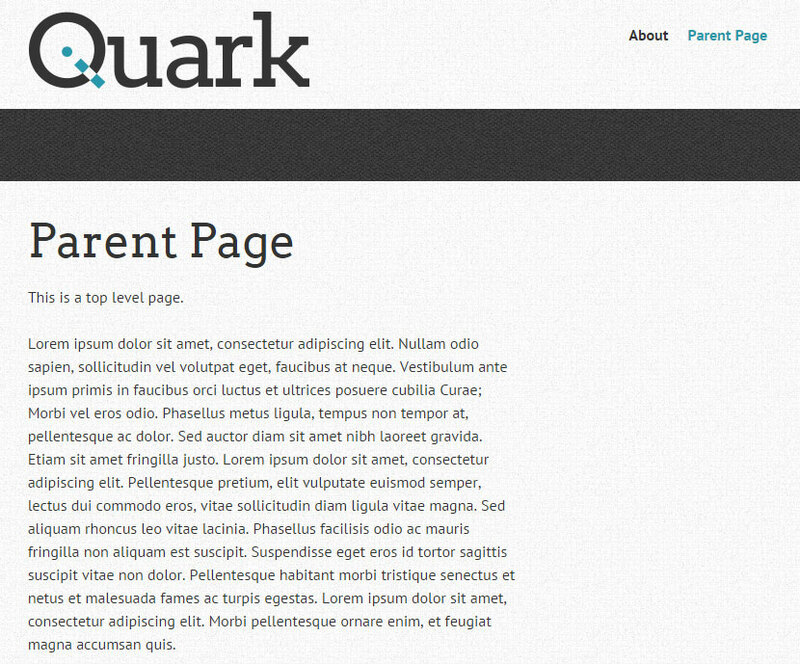 Quark is a simple, responsive WordPress starter theme. It’s a theme based on HTML5 and CSS3 and it’s based on Underscores (_s) and TwentyTwelve themes which gives it much flexibility. The coding is clean and well commented so that you can easily edit different parts of the theme. It also features built-in theme options. Finally, Quark is WooCommerce compatible, Multilingual Ready (WPML) and translated into Spanish, German and French. Get it from below. 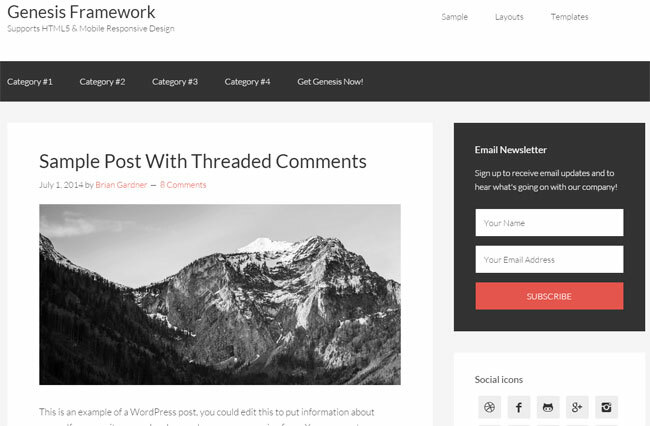 If you are a designer, familiar with HTML and CSS but not familiar with the quirks of WordPress and PHP then this Naked WordPress theme is for you. The theme is well commented out, and basic elements like home page, about page, blog page, comments, tags, categories etc are included. Also the theme is responsive, comes with custom menus and sidebars. 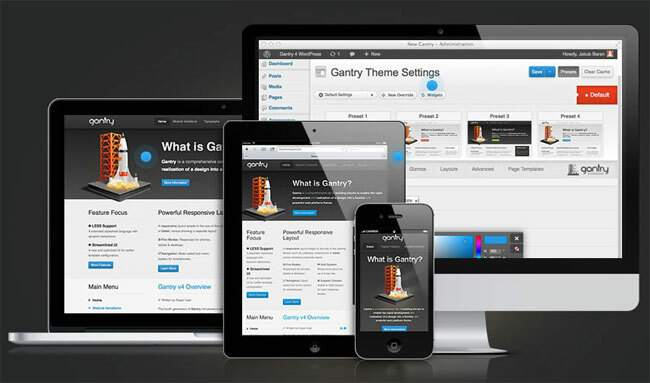 Twenty Fifteen is the default theme for WordPress, and many developers use it as a starting point for building their own themes. 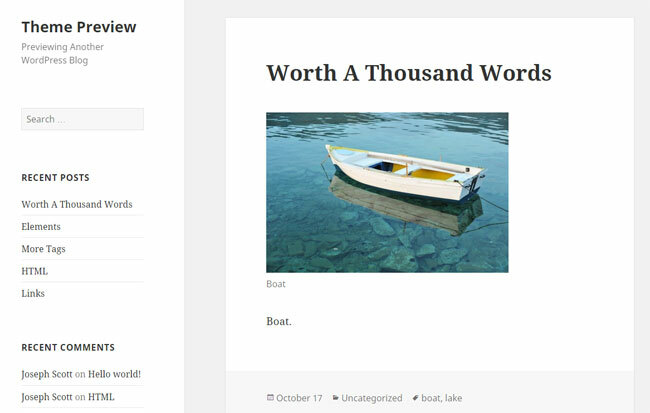 It is a clean, blog focused and simple theme which focuses on typography and is suitable for multiple languages. The theme is developed using a mobile-first approach which means your content takes center stage, regardless of where your visitors arrive from, be it via smartphone, tablet or computer. This HTML5 boilerplate WordPress theme is packed with time saving features and optimizations for developers. It comes preloaded with tons of awesome productivity and core features so that you can get started quickly. Get it from below. 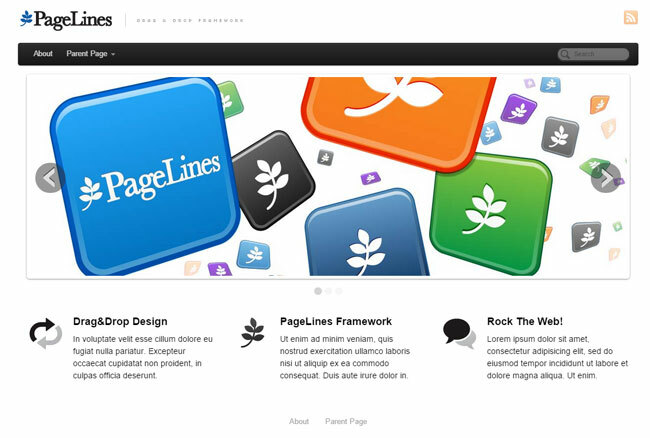 Pagelines is a responsive drag-and-drop platform for professional websites based on HTML5 and CSS3. Its beauty lies in its easy-to-use drag and drop platform that your clients will love. It comes preloaded with SEO, social media, typography, color control, eCommerce and many more features. Genesis framework is developed by the folks over at the StudioPress. It is a very popular framework with rock solid security, fast performance, responsive design, flexible code and out-of-the-box SEO. The framework is designed to be always used with a child theme, which you can create your very own or get one from StudioPress. It is aimed more towards intermediate and advanced developers, however, beginners can also use it by getting a ready made child theme. Once you purchase the framework, you are entitled to use it on unlimited websites, unlimited updates and support. I would highly recommend this framework if you are really serious about your next website. 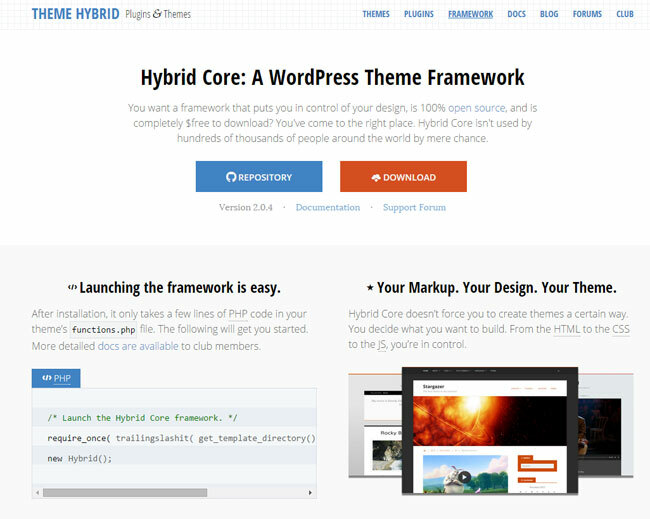 Hybrid Core is a framework that puts you in complete control of the design, and is free to download and use. With this framework, you decide what you want to build, as you have complete control over HTML, CSS and JS. The framework was built to make it easy for developers to include (or not include) specific, pre-coded features. Themes handle all the markup, style, and scripts while the framework handles the logic. This framework is maintained by Justin Tadlock, a very respected name in the WordPress community. 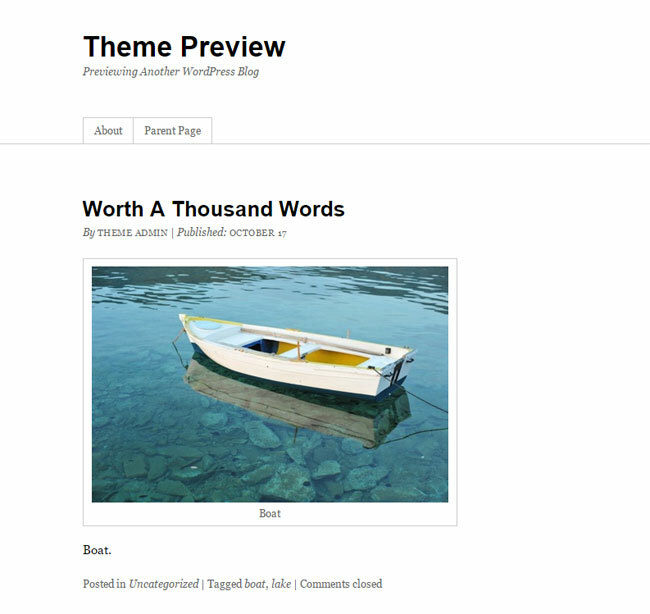 Headway is a drag and drop theme for WordPress which is really flexible. The theme is aimed especially towards Do-it-yourselfers who don’t want to be limited by anyone else’s ideas or imaginations. You can create any layout you want, make changes by easy drag and drop, create your own style within minutes and that too without any coding required. Headway is also a responsive framework, WooCommerce ready and comes with many other features. Thematic is a free, highly extensible, search-engine optimized WordPress theme framework featuring 13 widget-ready areas, grid-based layout samples, styling for popular plugins, and a whole community behind it. 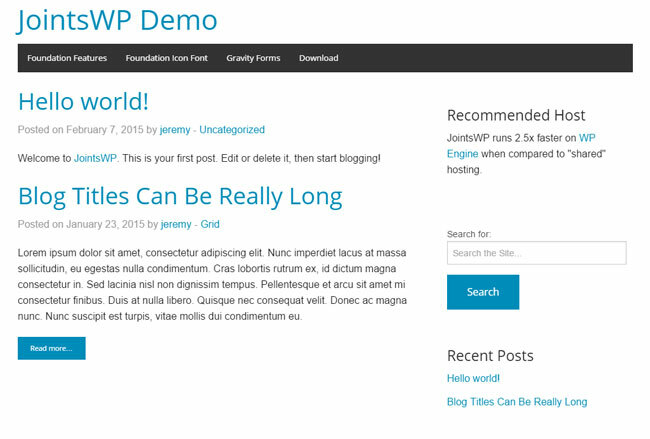 It’s perfect for beginner bloggers and WordPress development professionals. 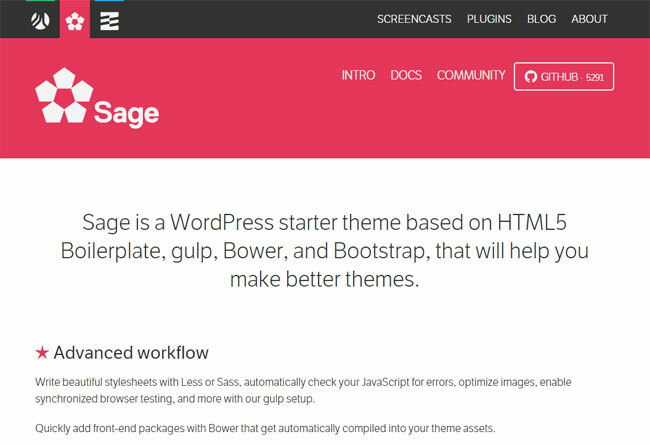 It is just perfect to use as-is, or as a blank WordPress theme for development. Gantry is packed full of features created to empower the development of designs into fully functional layouts with the absolute minimum effort and fuss. 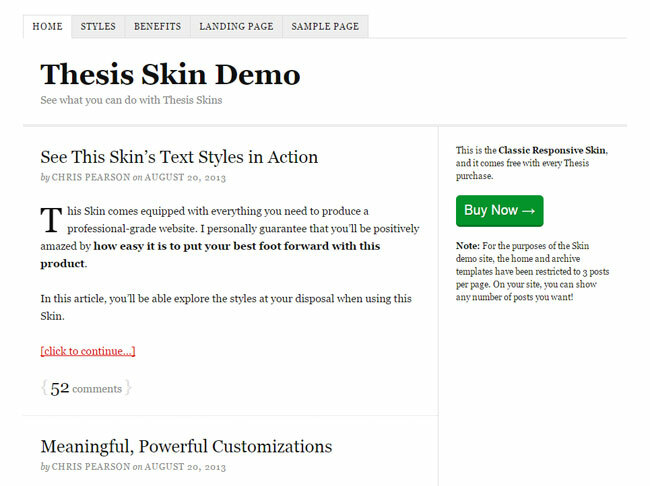 Thesis allows you to build beautiful website by customizing every element from within the dashboard. Thesis offers different skins, and there’s also a visual template editor. Its boxes (addon functionality), skins and site tools (for SEO, etc) makes it a good choice.